Are you playing on PC? 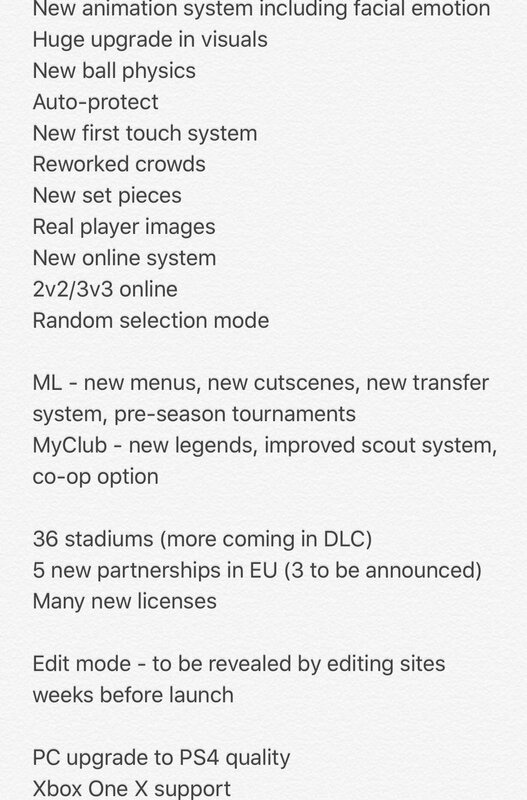 PC allows creation of stadiums but as for Console you cannot add stadiums into the game. Topic: Is it possible to sent teammate forward sprinting? no you cant players do it naturally but its not a big impact on the game like Fifa 17. PES18 its more improved but again its what A.I decide a player needs to use it. L1 in Pes does Im sure. If not when you have the ball press L2 and Right stick left and the players will. Latest PES 2018 video I seen had Arsenal in licenced strip so presume they are confirmed again? entertaining game seemed to have it all. I would but outside the ML all the players are messed up from a update. dont think re loading the team would work. Im just going to upload Highlights for exciting matches.